AN archaeological study claims to shed light on the few remaining mysteries which still surround Stonehenge. For years, the rock monoliths at the popular tourist site in Wiltshire have been a source of great speculation, with nobody certain as to why or how the prehistoric monument was built. The most prominent theory is that the site, which was constructed between 3000 BC and 2000 BC, served as an ancient burial ground. This theory gained traction after the remains of an estimated 59 individuals were found in the area in the 1920s, but the bones uncovered then were deemed unimportant at the time and were never properly analysed. But now archaeologists have been able to successfully carbon date the remains of at least 27 adults at the site, reinforcing the theory that Stonehenge was built to be a final resting place for our ancient ancestors. Fresh analysis of these bones has revealed that they were buried over a 500 year period between 3,100BC and 2,600BC. Join the experts on a Stonehenge guided tour and learn more about this mysterious monument and all the latest theories. Though some say Stonehenge is overrated, I found a way to visit the iconic site in a unique way to get a glimpse of the past………………………. 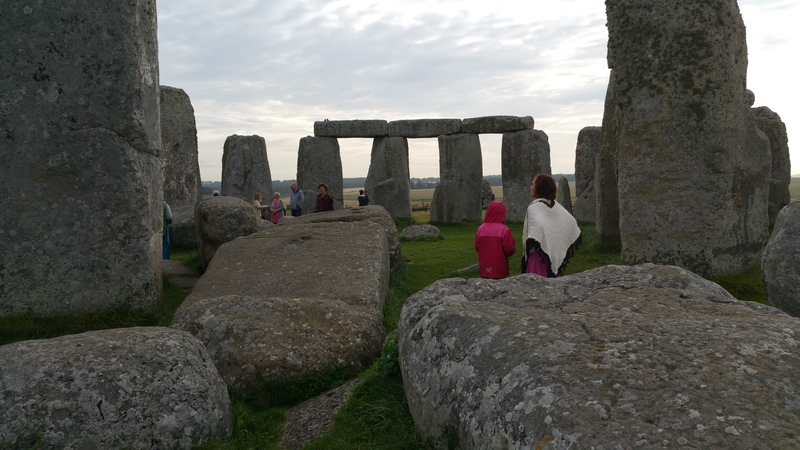 Experience for yourself our Stonehenge Equinox or Solstice Tours and remember to book in advance as these small group tours are very popular. Stonehenge Special Access Tours 2017. Reserve your exclusive inner circle tour in advance now. Demand for Stonehenge access tours far exceeds supply, dates are often sold out many months in advance. Do not expect to get tickets without ordering well in advance. Register your interest with now with no obligation by simply sending us your email address and we will offer you 2017 tours before they are published online giving you the opportunity to secure your preferred travel date. These will include our exclusive small group tours and our preferred travel partner with departures from London, Salisbury and Bath.